Welcome to the Tarpon Capital of the World. The shore off Southwest Florida has shallow and slowly sloping bottoms, which makes the Gulf of Mexico a perfect haven for tarpon. Make some fishing boat charter plans and follow our Florida tarpon fishing guide to maximize your Sanibel Island offshore fishing experience. 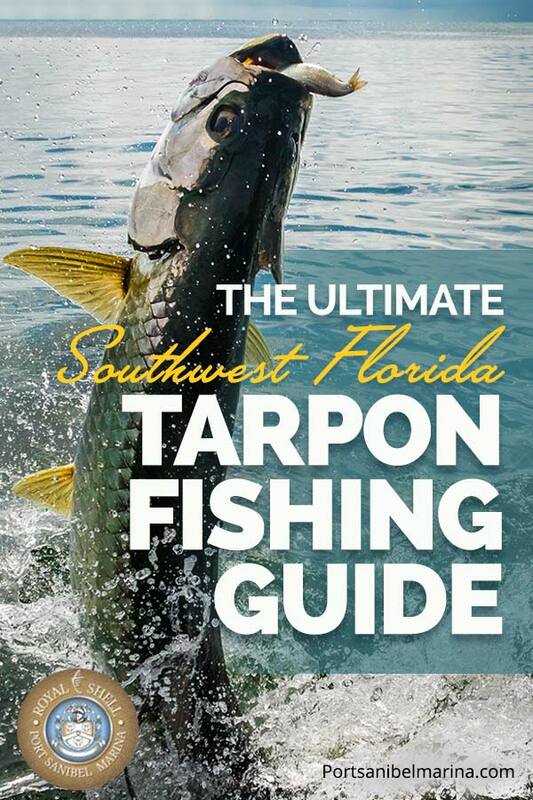 Do you know why Southwest Florida is the Tarpon Capital of the World? The first tarpon was caught right here in Tarpon Bay on the bay side of Sanibel Island. Legend has it the first tarpon ever caught on a hook and a line happened in that bay, which is why we call it Tarpon Bay. This led to a migration of fishing anglers heading south to fish for tarpon from Fort Myers south to Sanibel Island and Boca Grande. Tarpon, also known as “The Silver King,” grow to more than 7-feet in length and can weigh more than 300 pounds. They can be found close to shore and are able to gulp air directly. They primarily eat crabs, fish and shrimp. Since most tarpon easily weigh more than 100 pounds, it’s important to have the proper tackle on board your boat. Thirty-pound test line should be used to catch tarpon in place of the standard 8-pound test line. Monofilament line also absorbs the shock of a tarpon’s violent thrashing better than braided line. Circle hooks give you the best chance of landing a tarpon. Make some fishing boat charter plans and follow our Florida tarpon fishing guide. Fishing for tarpon is not for the faint of heart and their bone-hard mouths make it difficult to hook. Once you have landed a tarpon, be careful because they jump repeatedly and thrash around violently once they are hooked. They are known to throw the hook or part the leader when they are thrashing around. Tarpon Bay isn’t the only great fishing spot for tarpon. Fishers can catch tarpon near the coast from Fort Myers all the way to Lee County near Gasparilla Island, and another popular tourist town known as Boca Grande. Just south of Boca Grande sits Boca Grande Pass, which has deep water filled with both tarpon and sharks. Nutrient-rich waters from local harbors that empty into the Gulf of Mexico and into passes like Boca Grande Pass carry crabs known as “pass crabs.” Crabs are a popular food for tarpon. “These crabs are like candy to tarpon and they will pile up in layers waiting for their crunchy goodness,” says Bill Hammond of Endless Summer Charters. Make sure to look for tarpon feeding in passes just offshore. It’s easier to catch a tarpon with shrimp or live or dead sardines. Live or dead fish can also be used as bait. Catching the strong and elusive tarpon is the best part of the Florida tarpon fishing experience. Cast your line nearby a pod of tarpon so they are not scared away. Also wait until a tarpon has taken the bait and is swimming away before you put your reel in gear, then start reeling to get the circle hook caught in the top or corner of the tarpon’s mouth, which will help the hook stick. Once you hook the tarpon, its immediate response is to begin thrashing and jumping in the air. As soon as your tarpon flies in the air, drop the rod immediately to slack the line. The tarpon phrase for fighting a tarpon with a slacked line is known as “bowing to the King.” A tight line allows a tarpon to use its weight and muscle to snap the line. Raise the rod again as soon as the tarpon re-enters the water and repeat the process. Keep reeling and changing angles once your tarpon stops jumping. Do not allow the tarpon to rest as it gets closer to you or it will come up to take in some air and get a second wind. Grab a rod and plan a Florida tarpon fishing trip today in Southwest Florida. Hammond is quick to point out that responsible fishers in Southwest Florida throw back tarpon as part of what he calls “responsible angling” in Southwest Florida. Tarpon are not considered an edible fish because they have a large number of bones. They are a fish you can enjoy catching and then releasing. Hammond also stresses you should never hold a tarpon by its mouth. This can cause gaffing, known as creating a hole in the mouth of the fish that causes it to gulp air at the surface in order to survive. “Tarpon are sought after for not only their beauty but the pure adrenaline rush you get once you hook into one,” says Hammond, which operates charters from Port Sanibel Marina. 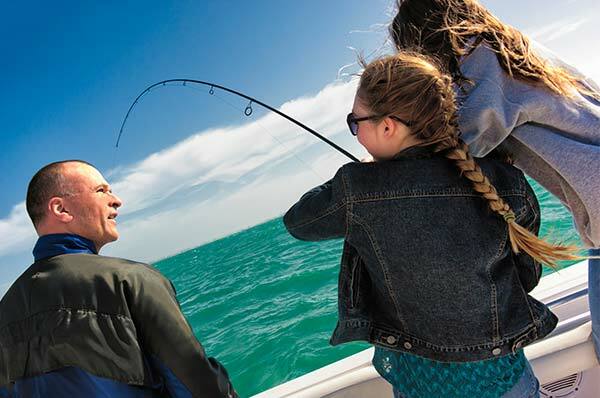 Hammond urges tarpon fishers to book a Sanibel flats fishing charter and choose between a 6- or an 8-hour tarpon fishing excursion from now through July to maximize your fishing experience. “You will not be disappointed in your hunt and catch of a lifetime,” Hammond says. 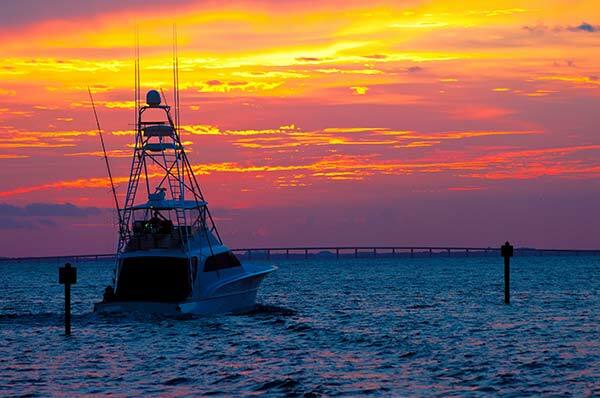 You can also book a fishing charter through Port Sanibel Marina with Hammond to experience this wonderful saltwater fishing destination haven. Enjoy the best time of year to catch tarpon in Southwest Florida. Rent a boat and schedule your fishing charter at Port Sanibel Marina today. Our fishing partners can take you out for an all-day fishing adventure you and your friends will never forget. Give us a call at (239) 437-1660 to schedule your watersport activities today.